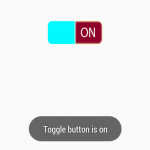 How to change toggle button ON,OFF text using android:textOn=””, android:textOff=”” attributes. In this tutorial we are creating toggle button and changing the toggle button above default text to some else text. This will completely modify the toggle button. 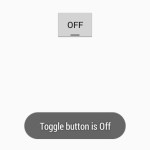 So here is the complete step by step tutorial for Set/Change Toggle Button above ON-OFF text in android using XML. 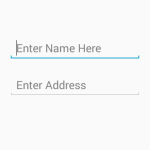 How to Set/Change Toggle Button above ON-OFF text in android using XML. 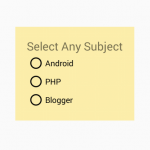 Click here to download Set/Change Toggle Button above ON-OFF text in android using XML project with source code.